Let Nett Nutrition generate a graphic file of your Universal Product Code (UPC) barcode. Provide Nett Nutrition with your Company Prefix along with your Item Reference Number and we will print your camera ready UPC barcode. Your UPC barcode can then be incorporated onto your food product label by your printer or graphic artist. 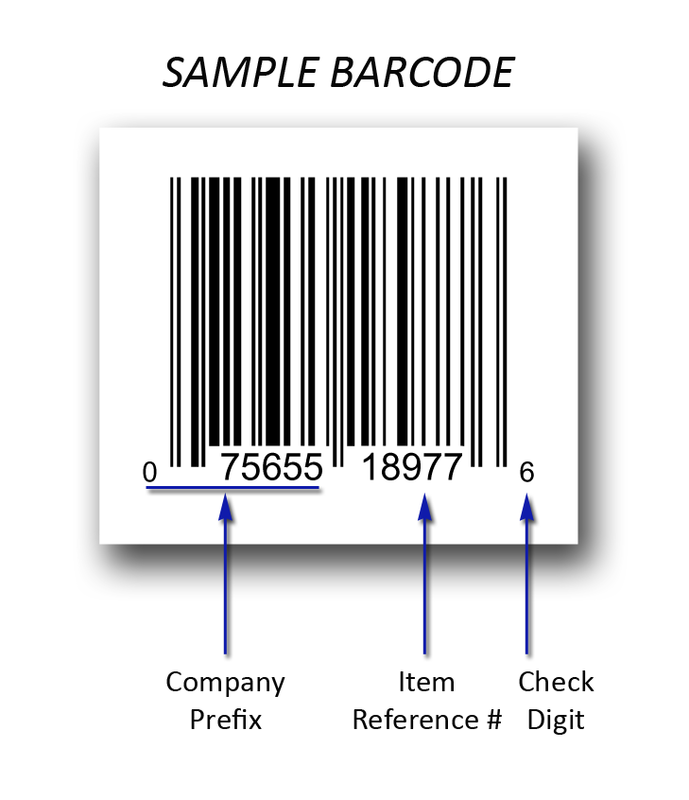 Product barcodes are used by stores to determine the type and cost of a product being sold. Some use the barcode to maintain inventory and to reorder. A UPC-A barcode is the barcode you will find on virtually every packaged food item in supermarkets. 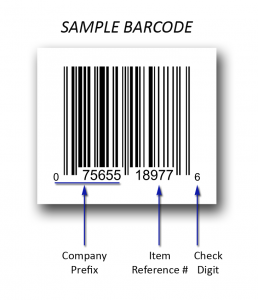 It is commonly called a “UPC barcode” or “UPC Symbol.” UPC-A encodes 11 digits of numeric (0 through 9) message data along with a trailing check digit, for a total of 12 digits of barcode data. Company Prefix: In the United States, a manufacturer or company can obtain a unique Company Prefix by becoming a member of GS1 US (formerly known as the Uniform Code Council (UCC)). To apply for a Company Prefix, visit http://www.gs1us.org/. All products produced by the specific manufacturer or company will use the same Company Prefix. This is the first part of the product UPC barcode and is a 10, 9, 8, 7 or 6 digit number. Item Reference Number: The Item Reference Number, also known as the company’s internal Stock Keeping Unit (SKU), is a unique code selected by the manufacturer or company (not GS1 US) which may be 1, 2, 3, 4 or 5 digits long. The manufacturer or company assigns a different Item Reference Number for each product and product size. If the company produces an 8 oz. size and a 12 oz. size, for example, two unique numbers must be assigned. If the size or formula of a product changes, it is advisable to change the barcode. Let’s say a manufacturer discontinues a 16 oz. size and replaces it with a 15 oz. size. Stores often print a description that includes size on the customer receipt; not changing the UPC could result in an incorrect size being printed on the receipt. The only way to avoid changing the UPC would be to assure that the descriptive database of all the stores that sell your product are updated with the new description. Check Digit: The check digit is an additional digit used to verify that a barcode has been generated or scanned correctly. The check digit is calculated based on the other digits of the barcode. Outside of the United States, visit the GS1 website http://www.gs1.org/ to learn how to establish an EAN-13 barcode.